What Is Snagging and Should You Use a Snagging Company? Your brand new house ought to be perfect… but the chances are it won’t be. In fact, one survey says that 51% of all new build homes have MAJOR faults. The best way to avoid falling victim to what’s being called a “crisis in quality” of new build homes is to order a snagging survey. Here we’ll look at exactly what snagging is and at what a snagging company can do for you. Snagging is a careful, detailed check of your newly built house or apartment to identify defects in the build. Identify anything which falls below good standards of workmanship. Identify anything which hasn’t been completed to the specification agreed. Identify anything that hasn’t been completed at all. Most importantly, it can identify work which breaches building regulations or other laws. Who needs a snagging report? Anyone buying a brand new house or flat should consider a snagging inspection. You could argue that if you’re spending anything from £150,000 to £1 million plus it’s crazy not to! A snagging inspection can also be useful following an extension or major renovation project. Snagging services are ideal for property investors too. It’s much better for a snagging service to find that your new buy-to-let has significant faults than it is for your new tenant to find them! 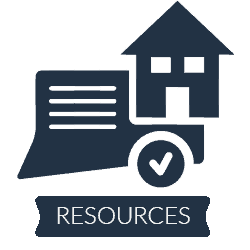 Also, if you’ve already moved in and are having snagging issues with your builder or developer then a professional snagging report can help give weight to your case. Honestly now, is snagging really necessary? Many experts will say that snagging is more important now than ever before. New house building is at record levels – and builders are under pressure to complete every house quickly – but there’s a shortage of many skilled trades. So there’s more potential for things to go wrong. This article points out that Shelter have found that 51% of new build homes have major faults. And this report suggests that there is a crisis in quality of new-build homes. There are some shocking individual cases too. This BBC Radio 5 Live story reports on the new house which the builder said had ‘just’ 156 defects… but which actually turned out to have 354 different defects! How good (or bad) is your housebuilder? The Home Builders Federation and the National House Building Council carry out a National New Home Customer Satisfaction Survey each year. This rates housebuilders using a star system. You can find out how good (or bad) your own builder is by reading this year’s survey, here. When should you do a snagging inspection? Ideally, you should have a snagging survey done before your solicitor completes the sale and before handing over any money. This way, you have much more leverage in getting the defects corrected. If that’s not possible, just order the snagging report as soon as possible after you’ve received the keys. But – don’t worry if you moved in some time ago and have still not had your snagging survey done. You can have it done at any time before the builder’s own warranty expires. In most cases, this means you can have it done up to two years after you’ve moved in, sometimes more. By the way, your developer or builder might actually ask you to prepare a snagging list detailing anything you’re not happy with and send it to them within a week or two of moving in. So it’s a good idea to be prepared if they do. Why should I use a professional snagging company? You can draw up a DIY snagging list yourself if you like. But there are a lot of advantages to hiring a professional snagging company. Professional snagging services can save you a lot of time and hassle and offer a much more comprehensive snagging report. Professional snagging services know the things that go wrong with a new build house or flat most often, and where and what to look for. They know from experience when something is right …. and when something is wrong. Is a snagging report the same as a survey? No. A snagging survey isn’t the same thing as a standard homebuyer’s survey. Remember, surveys and valuations are mainly done for the benefit of the mortgage lender and not the benefit of the home buyer. Snagging surveys cover lots of things that surveyors don’t. For example, a surveyor won’t normally tell you if there’s no hot water from the boiler, if the bathroom floods when the toilet is flushed or if your swish bi-folding doors won’t actually fold because those things aren’t part of a standard survey. But they can still be very serious and snagging problems can be very expensive. What is re-snagging… and do you need a re-snag? The idea of snagging isn’t just to ‘pick faults’ with a build. The whole reason for doing it is so that any faults and defects can be put right promptly. And so that, at the end of the day, you get the new home you were expecting and have paid for. So sometimes professional snagging involves re-snagging. This means that after the initial snagging report has been prepared – and the builder has been back to correct the defects found – a second snagging survey is completed. This will ensure that the rectification work has also been completed to an acceptable standard. Ensure there’s no conflict of interest. Check that your snagging service doesn’t also work for your builder or developer. Are they experienced? How many snagging inspections have they conducted? What’s covered by their snagging inspection? You could ask for a sample snagging survey so you can see exactly what’s covered. What’s NOT covered by their snagging inspection. This is also important. For example, some snagging surveys don’t include testing alarm systems. You’ll need to make other arrangements to snag these. What format does the snagging survey come in? Is it just a written report or does it also include photos of the defects to give to the builder? Is a re-snag, if needed, included in the price …. or do you need to pay separately for this? This guide from Which? explains what your rights are if your new build home has problems. This guide from the industry body, NHBC explains how the NHBC can help if you have building defects with your home. You can also go to the Snagging.org forum to discuss problems and get ask advice from other members. And the Government is planning to set up a New Homes Ombudsman to support homebuyers facing problems with their newly built home. It is, however, not known, yet, when it will be up and running. Need a Snagging Company To Look at Your New Build House or Flat? Yes! I would like to be contacted by one of Property Investment UK's partners to talk through the available options. For more information on snagging or to commission a snagging report we recommend that you visit Housescan.